Scott Sommerdorf | The Salt Lake Tribune Utah Gov. Gary Herbert, and Lt. Gov. Spencer Cox field questions from tech executives prior to a ribbon cutting ceremony at Silicon Slopes, the organization that promotes the growth of high tech business in Utah, which opened a new headquarters in Lehi, Wednesday, May 17, 2017. 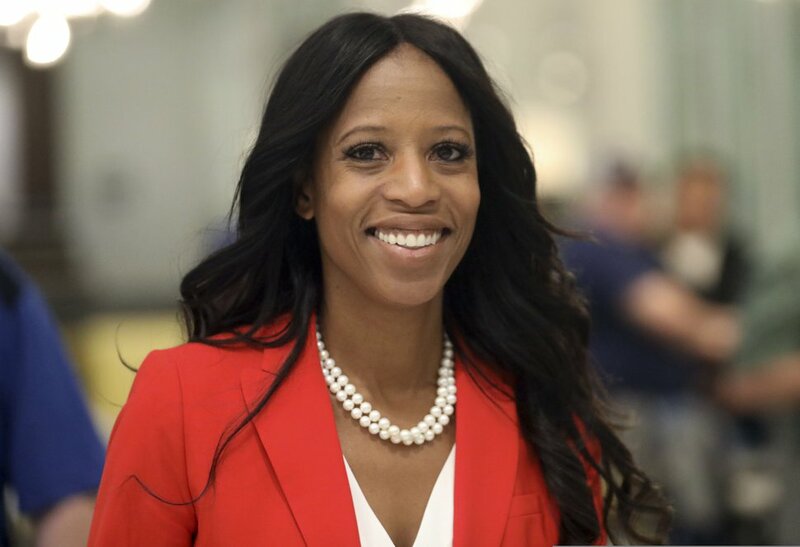 The 4th Congressional District race between Ben McAdams and Mia Love is still too close to call even as McAdams, the Democratic challenger to the Republican congresswoman, widened his lead a bit with votes counted Thursday. Updated data shows McAdams now leads the race by 51.77 percent to 48.23 — a 3.54 percent edge, up from 2.9 points. But relatively few votes have been counted yet and made public in Love’s GOP stronghold in Utah County, and no major update there is scheduled until Friday. So the strength of McAdams’ lead remains unknown days after the election. Gov. Gary Herbert and Lt. Gov. Spencer Cox both lashed out at Utah County for election mess-ups that are among reasons why the race’s outcome remains in doubt. 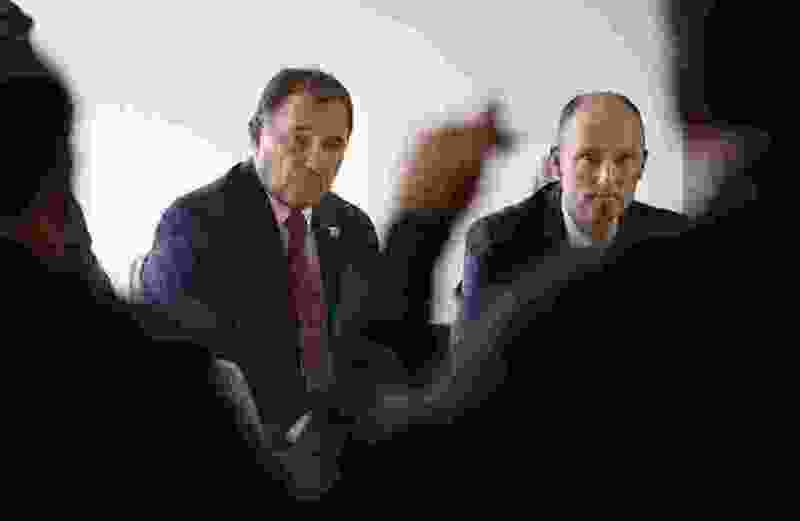 “Any time we have a glitch on election night, Utah County seems to be the epicenter of dysfunction,” Herbert said in a prepared statement. 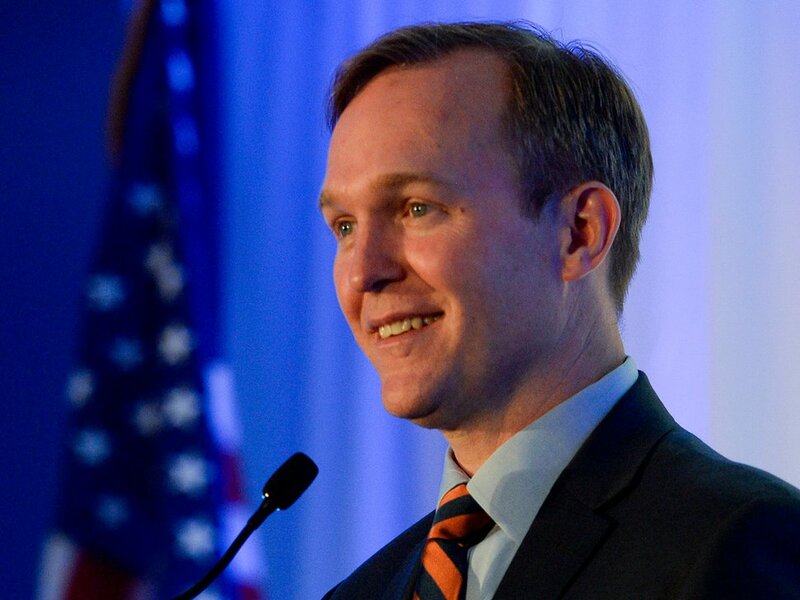 The election night lead for McAdams (although it is expected to shrink and could possibly disappear altogether when all those Utah County votes are tallied) prompted at least one national media outlet, as well as President Donald Trump, to declare Love’s defeat. 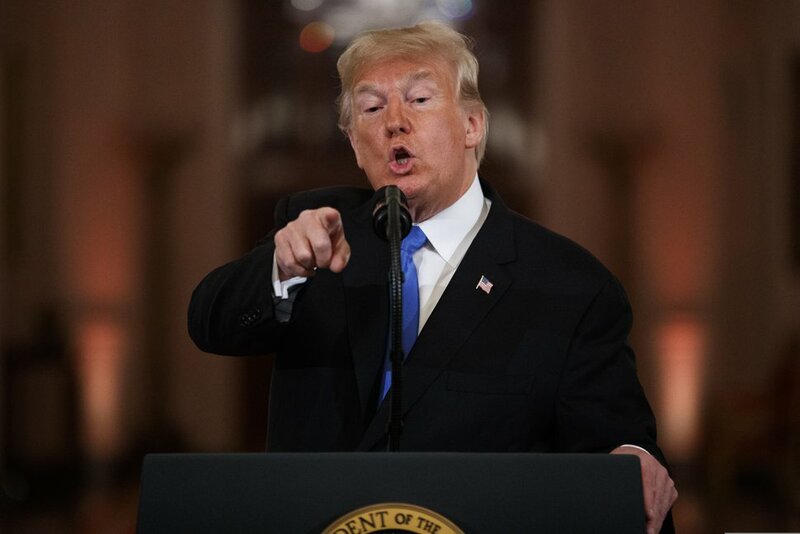 Trump mocked Love during a Wednesday news conference as one of the House Republicans who lost their seats because they distanced themselves from him. Utah County reported long lines on election night, and voters reported broken machines in some locations. Voters were still standing in line in some centers until nearly midnight, about four hours after polls officially closed. On election night, Utah County Clerk-Auditor Bryan Thompson — who lost his own race for re-election this year — said among reasons for long lines were a high number of time-consuming Election Day voter registrations and more people than expected voting in person rather than mailing in ballots. Also, Thompson said he found many voters were taking up to 15 minutes to cast ballots — instead of the normal two or three minutes — because of a long list of candidates and questions. Cox tweeted that it is “strange that they had no idea there was a longer ballot this year,” and didn’t have more machines or voting locations. He punctuated this with the emoji of a man shrugging. Scott Hogensen, chief deputy clerk auditor, said Utah County is actually following a schedule suggested by Cox’s office to all counties not to update initial election night totals until Friday, and then again next Tuesday. Salt Lake County Clerk Sherrie Swensen said despite that recommendation, she chose — with permission from the Lieutenant Governor’s Office — to give daily updates because of high interest in close races, and because state law allows that. Her county is the only one to issue the early updates. So far in the 4th District portion of Utah County, only 14,596 votes have been counted and reported — and Love won 74 percent of them. The county reported that 89,000 ballots have yet to be counted (but it is unknown how many of those are in the 4th District). With such big GOP margins in Utah County, Love could have been hurt if voters got tired of standing in line and went home. On election night, she publicly thanked those who were remaining in line at late hours. The 4th District contains portions of four counties. McAdams is winning Salt Lake County by 18,050 votes. But he was losing Utah County by 7,030 votes; Juab County by 1,627; and Sanpete County by 2,265. About 85 percent of the district’s voters live in Salt Lake County, and 11 percent live in Utah County. “The voting public deserves better,” the governor, a Utah County resident and former county commissioner, said about its election problems. Thompson, the longtime clerk-auditor, is a lame duck after being defeated at the GOP county convention earlier this year. His office did not immediately respond to the governor’s criticism, and it said Thompson was out of the office after having surgery on Wednesday. 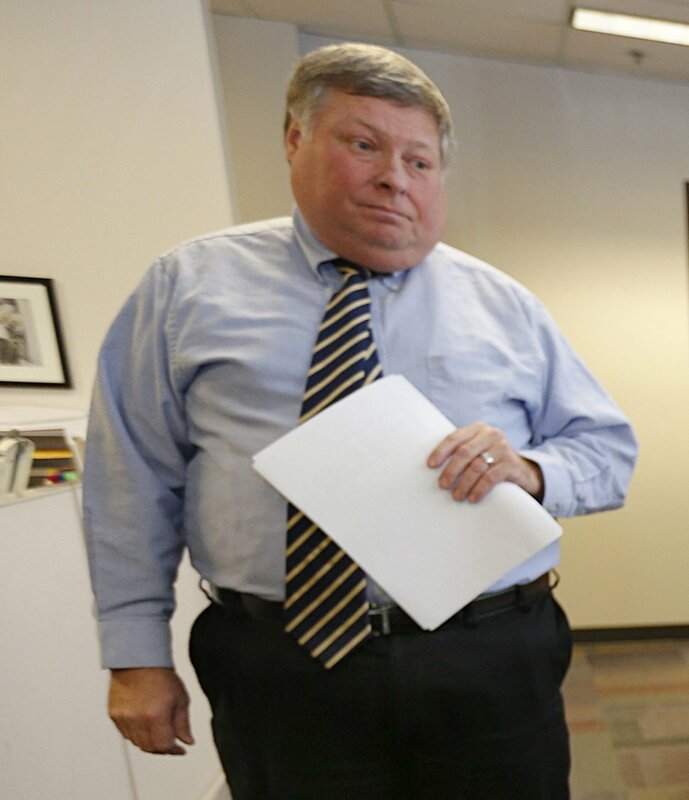 (George Frey | Special to the Tribune) Utah County Clerk and Auditor Bryan Thompson in 2013. The clerk auditor-elect, Amelia Powers, who vowed to improve elections in her campaign, said she raised red flags last week — as she said several cities and the lieutenant governor’s office also did — worrying that long lines would be likely and the county could not handle them. She said the county deployed all the machines it had, and hired as many Election Day workers as it did during the presidential election two years ago. “I think it’s more a problem that they don’t have the resources they need, and that may be the root of their problems.” She said she will study what happened to help fix it. • This year, the lieutenant governor’s office discovered that Utah County clerks had failed to count signatures in 105 petition packets for the Count My Vote initiative (which barely failed to qualify for the ballot). It returned them with instructions to speedily count them. • In a special election primary last year to replace Rep. Jason Chaffetz, Utah County sent the wrong mail-in ballots to 68,000 voters. Those had to be weeded out before the primary votes were tallied. • In 2010, nine voting machines were left unsecured in the lobby of a polling place. They are supposed to be under lock and key to prevent tampering. • In 2009, the clerk’s office told state Rep. Craig Frank that a home he was building in Cedar hills was inside the House district he was representing at the time. But it had the wrong map, and Frank had to resign from the Legislature because he lived outside the district. • In 2008, widespread confusion resulted when the clerk’s office consolidated polling locations but did not adequately notify voters. It demoted its elections director because of those problems. • In 2004, about one of every five votes cast were not included in initial election night tallies because of a programming glitch by clerks that did not count straight-party ballots. A recount the next day included the 33,000 missing votes. Besides such problems, Utah County regularly has taken far longer than most counties to report its vote totals. Anna Lehnardt, Herbert’s press secretary, said the governor has been concerned about the voting problems in Utah County for years, but issued his statement now because of news media requests for comment.